With the aging of the American Baby Boom generation, the need for expanded healthcare services is becoming more pressing. The nursing profession, which has always been in high demand, is now becoming a critical part of delivering healthcare to this aging population. 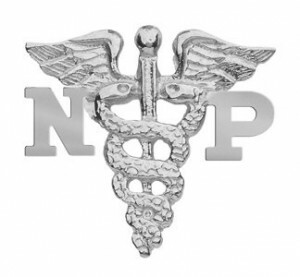 Nurse practitioner is a specialized field of nursing that is poised to come to forefront as the United States implements Obamacare, the country’s first universal healthcare system. Nurse practitioners have the additional knowledge and experience that allows them to take over some of the duties usually done by a physician. The nurse practitioner can perform a physical examination and order laboratory testing. He or she can diagnose, treat and manage diseases. Unlike an RN, the nurse practitioner can prescribe medications. The nurse practitioner may also perform certain procedures such as biopsies. State laws often vary on the duties allowed to be performed by nurse practitioners. However, all states allow the nurse practitioner an expanded role in the healthcare of patients. The nurse practitioner is a registered nurse that has gone through additional training and clinical experience in order to fulfill requirements for the practitioner designation. Many RNs start out by getting an associate degree in nursing, and then complete their bachelor degree requirements at a four-year institution. They must then go on to complete a master’s degree in order to be eligible to take the licensing examination to become a nurse practitioner. National certification is also required. Nurse practitioners work in a variety of settings, such as clinics, hospitals, nursing homes and community health centers. They may also have a private practice through which they care for patients, or they may be an independent health professional working in conjunction with a physician. With the passage of the Affordable Care Act of 2010, the United States embarked on a new direction to provide healthcare for all of its citizens. Since its inception, critics have worried whether enough physicians will be available to provide care for the 40 million new people that will join the healthcare rolls. The nurse practitioner is in a good position to step in to fill this gap. For RNs, the Bureau of Labor Statistics expects the market to increase 26 percent from 2010 to 2020. Currently, most nurse practitioners work in a primary care setting. As the Affordable Care Act comes into full effect in coming years, the need for nurse practitioners that can take over many of the duties of the primary care physician will cause the specialty to grow faster than other nursing areas. The need for nurse practitioners skilled in specialties such as cardiology, neurology, endocrinology and urology will be in big demand to serve aging Americans. Other specialties such as nephrology, obstetrics and oncology will also be needed. If you are considering extending your education to include nurse practitioner licensing, rest assured that employment will be waiting for you, both in urban and rural areas of the country.